I started by cutting different size circle masks out of sticky notes. Then I used the negative (positive?) portion to stick to the card and layered a stencil on top. After the first one, I put the circle part of the mask back in, removed the negative part and put a different size circle mask overlapping the first one and repeated with a different stencil. I did that for three circles in all. Then I used small sunburst stamps in the same colors to extend the design to the top and bottom. I die cut the sentiment several times and then glued them together. 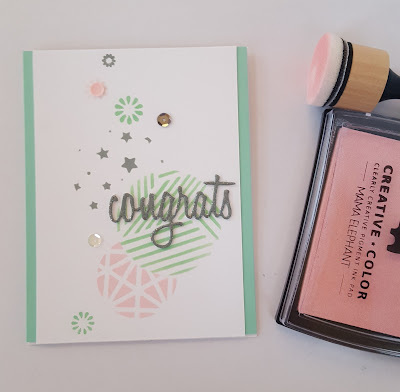 I used the same gray ink to color the sentiment and then used sparkle embossing powder to give it a shiny look. I added a few sequins and trimmed the sides of the front panel so I could adhere it to some colored cardstock to finish off the card. Great stencilling and masking technique and I love your pretty pastel colours. Thanks for playing at AAA Cards. Fabulous card, love the soft colors. Thanks for joining us at AAA Cards! 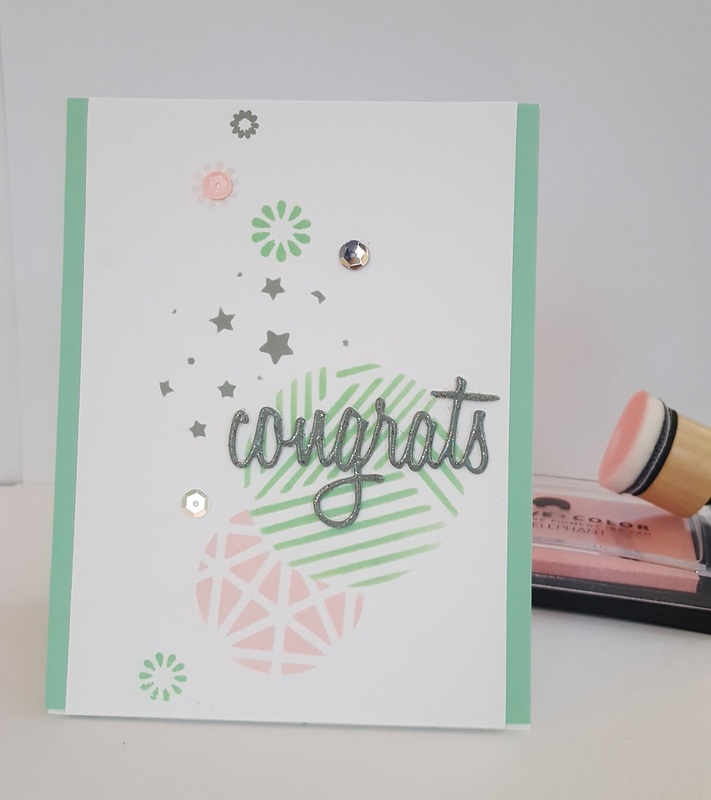 Love the simplicity and design of this card and the beautiful pastel colors!! Beautiful card! Thank you for joining our challenge at Cas on Sunday! Love the soft pastel colours and you've used the stencil and masking perfectly. Thanks for playing along with us at AAA Cards! What a beautiful pastel card! Thanks for sharing it with us at Cards In Envy!